Michael Avenatti at one point was looking like a young Jon Snow, posed to take down the Trump administration. And now he’s out here looking like Ramsay Bolton. A federal grand jury in California has indicted the former attorney for Stormy Daniels on 36 counts, including embezzling from a paraplegic client, court documents released Thursday show. Avenatti, much like the man he once tried to bring down, used Twitter to offer a statement. Avenatti’s paraplegic client claims that the lawyer drained a $4 million settlement using “portions of the settlement to finance his coffee business or pay personal expenses,” the U.S. attorney’s office statement said, NBC News reports. “Avenatti concealed the receipt of the settlement from Client 1 and instead gave him periodic ‘advances’ of no more than $1,900 and paid the rent for his assisted living facility,” the statement said. Four other clients have claimed that Avenatti used portions of their settlements totaling millions of dollars to finance a jet, his coffee business and his own legal and personal expenses. He also allegedly used clients’ money to pay off other client he’d stolen from and to “pay some of his law firm’s bankruptcy creditors, including the IRS,” according to the U.S. attorney’s office. “Any claim that any monies due clients were mishandled is bogus nonsense. ... I look forward to proving my innocence,” Avenatti wrote in a tweet, accompanied by a client’s testimonial calling the lawyer “an exceptional, honest and ethical attorney,” NBC News notes. “Avenatti allegedly attempted to obstruct the IRS’s efforts to collect the taxes” by moving money from credit card transactions done at his coffee shop to a different bank account. The jet that Avenatti co-owns was seized Wednesday, and in case there is any confusion, the new charges follow Avenatti’s arrest in New York last month that he attempted to extort Nike for some $25 million to keep him from snitching on payments he claimed Nike made to star collegiate athletes. 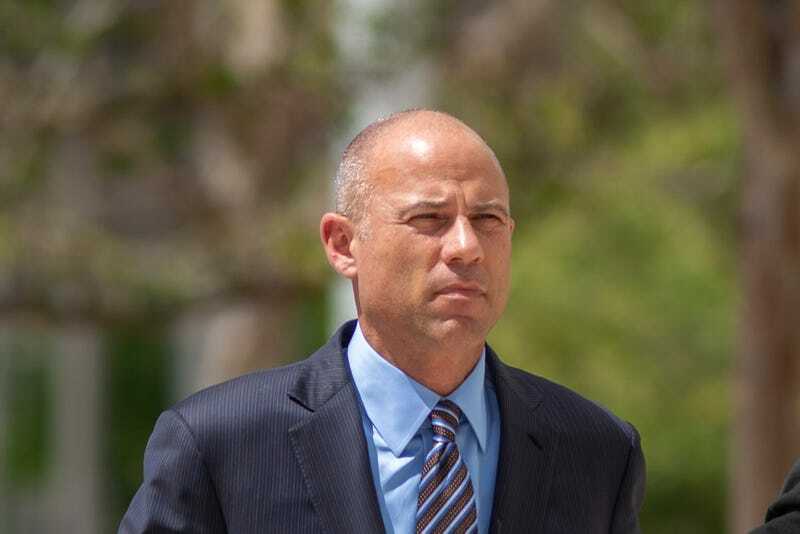 If convicted on all counts, Avenatti could face 335 years in federal prison. He’s currently out on $300,000 bond and “is scheduled to be arraigned in U.S. District Court in Santa Ana on April 29,” NBC News reports. Damn. It was all good just a week ago.